European Wide Plank Wood Flooring Company - custom and pre-finished. All of our wood is imported from Austria and Germany. We also import reclaimed wood that can be used on ceilings, walls and building exteriors. 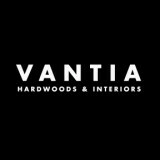 Vantia Hardwoods is a family owned business in Colorado which specializes in customized wood plank products for hardwood floors (rustic, modern, beetle kill, and reclaimed products), wall and ceiling wood board paneling, bard wood siding, wood exterior siding, butcher block countertops, and reclaimed beams. Vantia Hardwoods provides hardwood floors and wood products as an authorized dealer for Bolefloor, Mafi, Hallmark and more. We specialize in reclaimed hardwoods and wood products for flooring, exteriors, wood cabinetry, wood walls. Vantia Hardwood has showrooms in Frisco, Colorado and Denver, Colorado. Our projects can be found in Vail, Beaver Creek, Denver, Boulder, Castle Pines, Cherry Hills, Aspen, Telluride, Breckenridge, Keystone, Frisco, and Silverthorne. 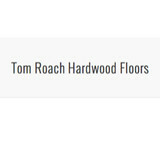 Tom Roach Floors Inc. would like to take this opportunity to introduce ourselves to you. Our company has been owner operated since 1993, and has assembled a team of seasoned craftsmen and a well-educated and very knowledgeable staff of business professionals. Our goal is to provide the highest caliber of customer service, along with excellent products that will meet or exceed the specific needs of each and every customer. We are committed to educating you as our customer and making your experience with us one that you will appreciate. Through our experience, we have learned that it is crucial for success to have a quality team, like ours, that works well together. Because when people work well together, anything is possible. So we are confident that you will find dealing with our staff and exceptional craftsmen to be enjoyable. The result will be a finished product that you will love for many years, and most importantly, an experience to be remembered for a lifetime. We are proud to offer environmentally friendly finishes and innovative choices in flooring. WBT Enterprises is a local custom hardwood flooring company based out of Glenwood Colorado. 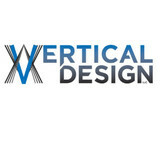 With over 29 years of experience, we specialize in unique custom high end hardwood flooring and staircases. We do both installation and refinishing, ensuring the safe and correct installation of antique hard wood floor in multi-million dollar custom homes. We work diligently everyday on the progress and projected timeline for the completion of the job ordering the best materials needed to execute a finished project. We offer wocw, antique, domestic flooring, & prefinished flooring. With 1,000 stores worldwide, we not only have enormous buying power, but we have partners in all of the major brands, mills and manufacturers. We’ve done the research for you. Just tell us your needs, and we’ll satisfy them beyond your expectations. In Glenwood Springs look to us for one of the largest selections of carpet, hardwood, laminate, ceramic tile, vinyl, area rugs and more — and you'll always find the best products and great savings ... every day. We understand flooring is the foundation of decorating. It sets the tone for your home and reflects your taste and lifestyle. At Hi Country Floors To Go, it's our job to help you make your shopping experience a positive one. As the premier floor covering showplace in Gunnison, Hi Country Floors To Go is your one-stop showroom for all of your floor covering needs. As a full service warehouse, our staff is knowledgeable about all products. Our installers are fully trained and stand behind their work with a one year warranty. Ask about our free estimates! We feature and install the brand names you know and trust, including Creative Elegance, Designer's Choice, Signature Style, Softique®, Infinity Nylon Carpet Fiber®, Royal Stainmaster®, Mohawk, Shaw, Armstrong, Congoleum, Legacy, Bruce, Natural Cork, Mullican, Columbia and many more. Grizzly Creek Hardwood Floors Inc. Hardwood flooring sales and supplies. 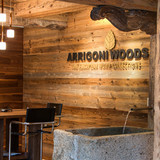 We are the only locally owned and operated flooring business in Aspen. All projects are warrantied by our 5 year “no hassle” guarantee and insured by our $1 million dollar liability insurance policy. Call for your free estimate today! Wood flooring adds style and warmth to any place. Make your home or business inviting with wood floors from West Elk Woodfloors. We offer impeccable flooring services to residential, commercial and industrial properties in Gunnison, Crested Butte and from Glenwood Springs to Aspen, CO. With more than 30 years of relevant experience under our belt, you can count on our expertise and knowledge to give you the best wood floors in the area. Our dependable and quality service has earned us many loyal customers.We offer unbelievable rates for flooring installation and refinishing services. What kinds of services do hardwood flooring installation professionals in Crested Butte, CO provide? Find hardwood floor experts in Crested Butte, CO on Houzz. Search the Professionals section for Crested Butte, CO hardwood flooring installers and dealers or browse Crested Butte, CO photos of completed installations and look for the professional’s contact information.